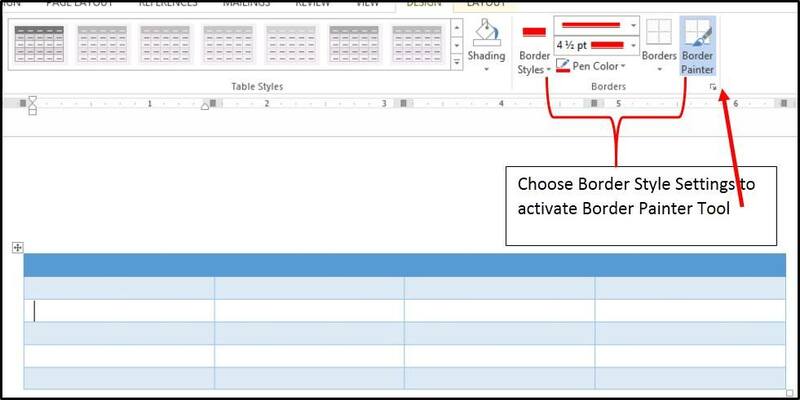 This blog focuses on a couple of enhancements added to Microsoft Word 2013 to make it easier to work with Tables: the new Insert Row/Column controls and the new Border Painter and Border Sampler tools. 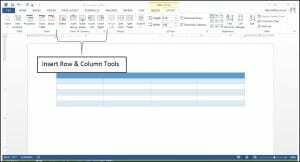 Now, these tools were not difficult to use, but they were out of the way when you were working in a Table and you had to keep moving your mouse to the top of the screen. 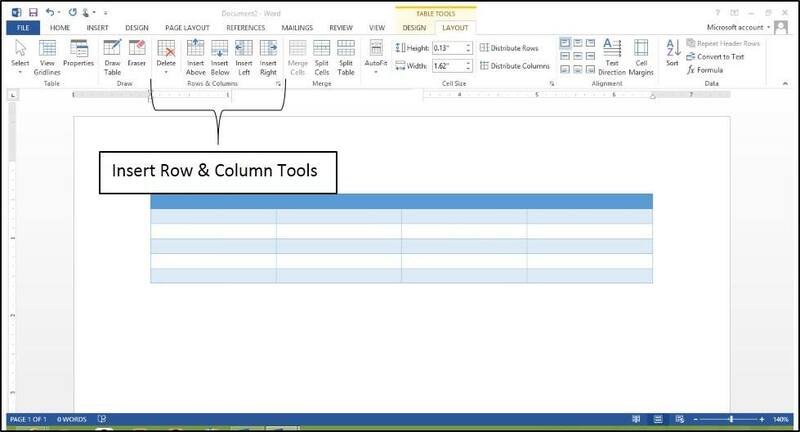 Also, if you were not aware of what Row or Column your cursor was in at the time you used one of the buttons, you’d end up with the new Row or Column in the wrong position in your Table. 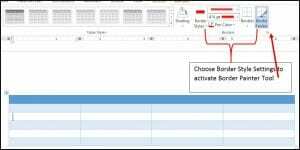 This makes it faster and more intuitive to add the new Rows and Columns you need without having to move your mouse out of the Table and up to the Ribbons. 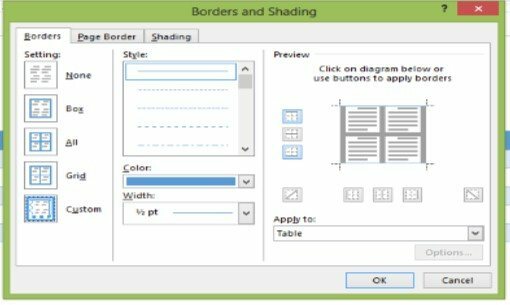 So, to make this process easier, Microsoft Word 2013 now contains two new tools for enhancing Table Borders: the Border Painter and the Border Sampler. 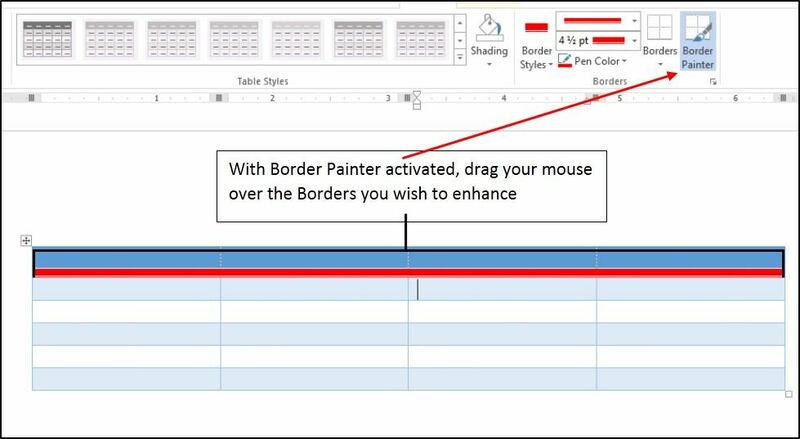 The Border Painter allows you to set the style, color and thickness of the border you want and then simply use your mouse like a pencil to apply the borders by drawing them only on the border segments you wish to enhance. 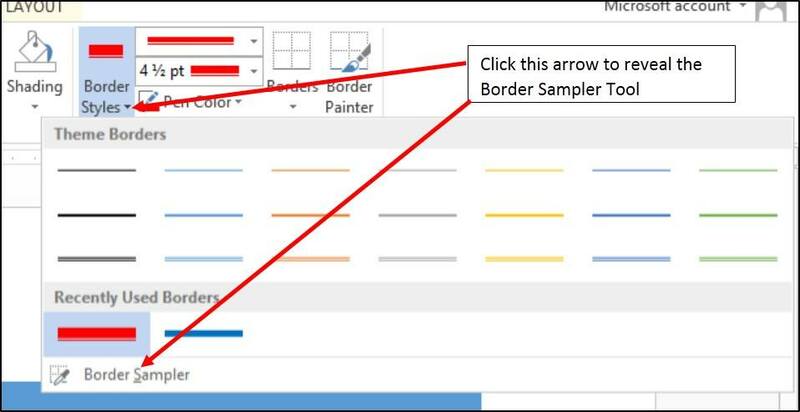 The Border Sampler allows you to click on an existing border segment and then copy an existing border style to use wherever you wish. You will then see a palette of existing Border Styles as well as Recently Used Custom Border Styles. 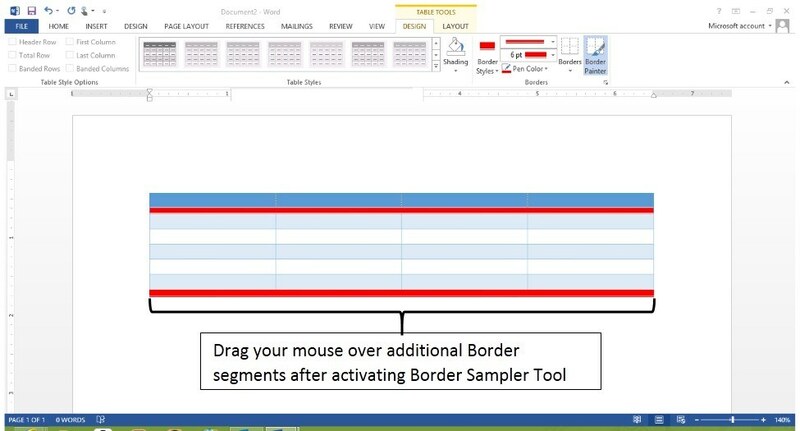 All you need to do is select the Border Style you wish to reproduce. 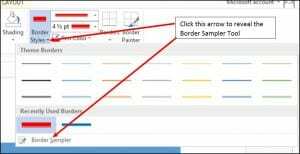 Your mouse pointer will then look like a pen, and you can copy the selected Border Style over any additional Border segments you wish to enhance.